Angling is a method of fishing by means of an "angle" (fish hook). The hook is usually attached to a fishing line and the line is often attached to a fishing rod. Fishing rods are usually fitted with a fishing reel that functions as a mechanism for storing, retrieving and paying out the line. The hook itself can be dressed with lures or bait. A bite indicator such as a float, and a weight or sinker are sometimes used. Are we wrong to assume fish can't feel pain? - "We like to think fish have no feelings. And yet the idea that they have both memory and a capacity for suffering is gaining ground among scientists." Bentley launches Bentayga Fly Fishing by Mulliner - Bentley Motors. FILSON - "Building on a heritage of guaranteed quality since 1897." Fishing bags. FISHermans Toolbox - "Fishing Gear Reviews." 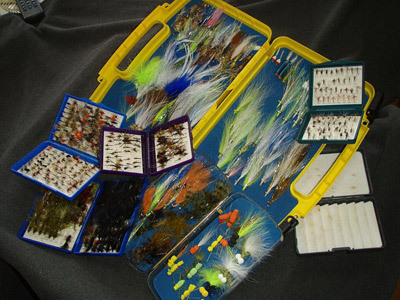 FLY FISHING GEAR - product information, reviews and how to select gear. list of pseudonyms used by notable Angling authors - since the 18th century, hundreds of angling authors have adopted pseudonyms for their books, for their contributions to journals and the popular press. Pen names for angling authors were most common in the late 19th and early 20th centuries. My Personal Guide To Fishing Alaska from Shore - Hunting Fishing Gear. Salmon fishing season opens – in pictures - The Guardian. Salmon fishing season opens on Scotland's river Tay – in pictures - The Guardian. Scottish salmon fishing season opens - in pictures - "The salmon fishing season has started with traditional ceremonies on the River Tay. It is the first of the larger Scottish rivers to open for the season, which runs until 15 October." SPORT FISHING - the magazine of saltwater fishing. The Compleat Angler - by Izaak Walton. To Save Its Salmon, California Calls In the Fish Matchmaker - The New York Times. 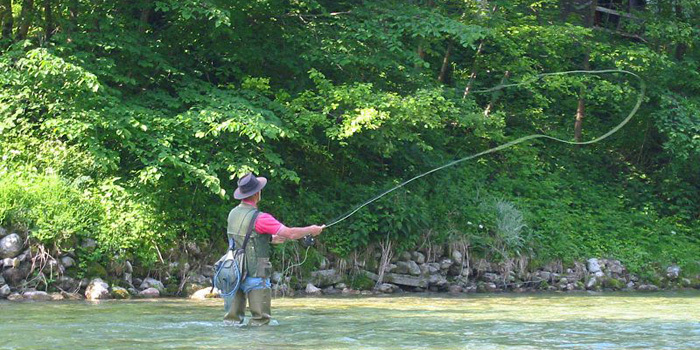 Understanding The Art Of Fly Fishing – A Comprehensive Guide - Fall for Fishing. World's oldest fish-hooks found on Okinawa, Japan - The Guardian. Aby Garcia - since 1921. "For Life." 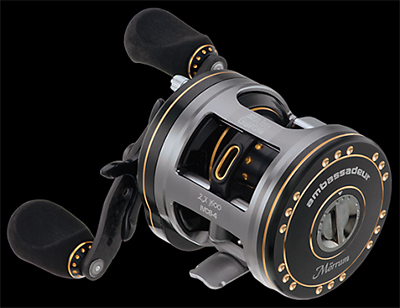 Fishing reels, fishing rods, REVO reels. AMAZON.COM'S FISHING EQUIPMENT STORE - 19,839 items to choose from (as of September 12, 2014). ANGLING DIRECT - fishing tackle, rods, reels, fishing equipment. BLUE LAKE TACKLE - fishing gear & tackle. BUCK KNIVES - since 1902. 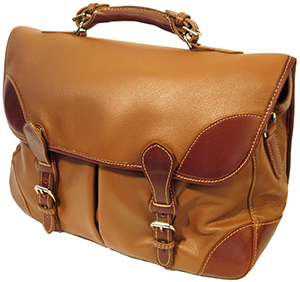 The company has a long history through five generations of the Buck family from 1902 to the present day. Primarily manufactures sport and field knives and is credited with inventing the "folding hunting knife". Coarse Fishing Tackle & Rods at Redfins Angling - "With 20 years of experience in selling Fishing equipment, Redfins are one of the largest fishing store in Derbyshire. We see all types of coarse fishing products like coarse fishing rods, reels, rigs, tackle, baits and many more." 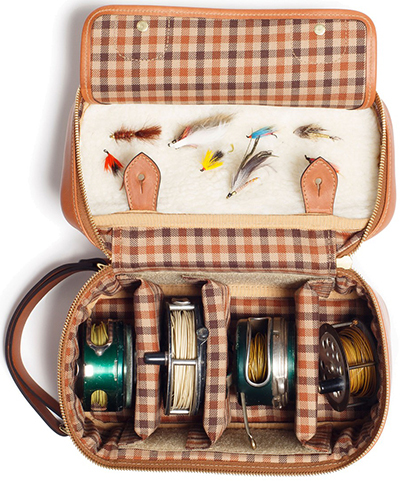 EXPLORE PRODUCTS - fishing equipment, gear, and tackle boxes. FENWICK - "Feel The Action." Fishing rods, fly rods, ice rods. FILSON - since 1897. Outdoor clothing. Fishing Bait, Dynamite Baits, Mega Fishing Corn at Manor Farm Fishing - "With 20 years of experience in selling Fishing equipment, Manor Farm Fishing are one of the largest fishing store in Bedfordshire. We see all types of fishing baits at discount prices." Fishing Tackles & Outdoor Clothing at Allcocks Outdoor Store - "Number one fishing tackle and shooting equipment shop in Worcestershire, Allcocks Outdoor Store stocks about 76000 products ranging from shooting equipments, fishing clothing, outdoor jackets and all types of outdoor clothing. The top brand we sell are Musto, Le Chameau, Korda and Drennan." FISHUSA.COM - "America's tackle shop." FOX - suppliers and manufacturers of carp, pike, predator, specialist and match angling equipment and fishing tackle. French Footwear - "Handcrafted in France with high quality natural rubber." Rubber boots for fishing. L.L.BEAN -"GUARANTEED. You have our word." Fishing gear. Le Chameau - "Maître bottier depuis 1927." Men's & women's fishing boots. ORVIS - since 1856. Fly fishing gear store & resources. PENN REELS - "Let The Battle Begin." R.L. Winston Rod Co. - since 1929. 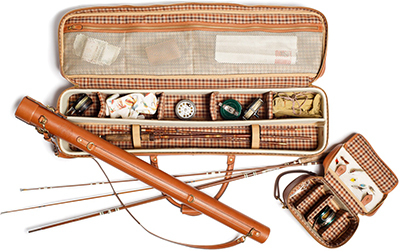 "The Finest Fly Fishing Rods in the World." Boron, graphite, fiberglass, and bamboo flyrods. Includes history, product information, and dealers. SAGE - "Sage continues to innovate, pushing the boundaries of performance. We have invested decades of research and design and coupled the results with the experience of testing our products around the globe. Everything we do is done with one goal in mind: Mastering the art and science of fly fishing." SEA-EX - recreational fishing and marine resources. THE FLY SHOP - since 1978. Fly fishing equipment, guide services, and international fly fishing trips. ATLANTIC SALMON RESERVE - "Salmon Fishing in Kola Peninsula." FLY FISH YOKANGA COMPANY - "Russia's Trophy Salmon River." FRONTIERS - "A Travel Tradition Since 1969." 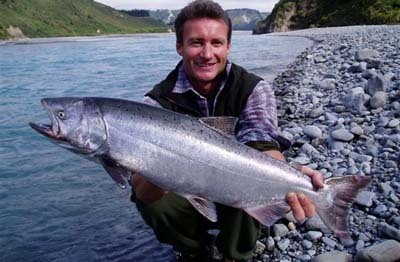 Freshwater fly fishing: Russia. ROXTONS - "The leading providers of the finest fishing and shooting experiences around the globe."